Founded in 2003, Tesla, Inc. is an American automotive and energy company that specializes in manufacturing electric cars with 3 models present in the market- Model S, Model X and Model 3. Performance-wise 2018 has been phenomenal for Tesla as it generated a turnover of $6.8 billion in revenue for the third quarter of 2018 and made a profit of $311 million tagging this third quarter with having the best results in Tesla’s history of 15 years. Tesla managed to deliver 56,065 Model 3 cars in North America alone during this period. Tesla SWOT and PESTLE Analysis studies how Tesla has spearheaded the drive to reduce consumption of fossil fuels and subsequent pollution by employing environment friendly sustainable Powerwall and Powerpack batteries. Whilst they have had a remarkable year, not all is well for Tesla. It has a debt of more than $10 billion to repay of which the next instalment of $1.3 billion dollars is due in March, 2019. Alongside this, Tesla also needs to look into raising money to continue work on their future projects like the Model Y crossover, Tesla Semi and setting up factories in various parts of Europe and China. During the last few years, Tesla has faced a lot of flak due to quality control issues as customers have frequently complained of various problems in brand new cars. Most of these problems revolve around paint quality, quality of mechanical components (such as steering wheels) and panel gaps. This resonates with the general opinion doing the rounds among customers and critics that Tesla is in a rush to send cars into production without adequate trials and tests of their beta versions. Many customers have even filed lawsuits or asked for a recall due to repeated performance issues in new Tesla cars. Tesla has faced a number of problems and lawsuits over the years with regard to their work in environment, recruiting workers illegally and software copyright infringements. The most recent of troubles came calling in September 2018 when CEO and co-founder Elon Musk announced on Twitter that he was considering making the company private. This came as a surprise to members of the company as well who had no idea and the company’s stock prices spiked by 11%. However, within 3 weeks Musk declared his idea dead thereby causing immense loss for the shareholders and investors. Based on the Securities and Exchange Commission’s allegations of misleading investors, CEO Elon Musk has been asked to step down from his chair for three years and function in limited capacity only besides paying a fine of $20 million. Tesla needs to name a new CEO before the end of 2018. Despite successful production of the Model 3 cars, Tesla faced major logistics problem finding themselves unable to deliver to their customers on time. Considering Model 3 had a long waiting list of pre-booking, around 20% of these 455,000 customers withdrew their booking demanding a refund. However, Musk announced on Twitter that adequate trucking facility had been procured thanks to which deliveries could be made within 1 month of booking to meet the sales targets before the end of 2018. Especially since Tesla goofed up with the delivery of their Model 3 cars, rival automobile companies have added further trouble for Tesla by upping their game. 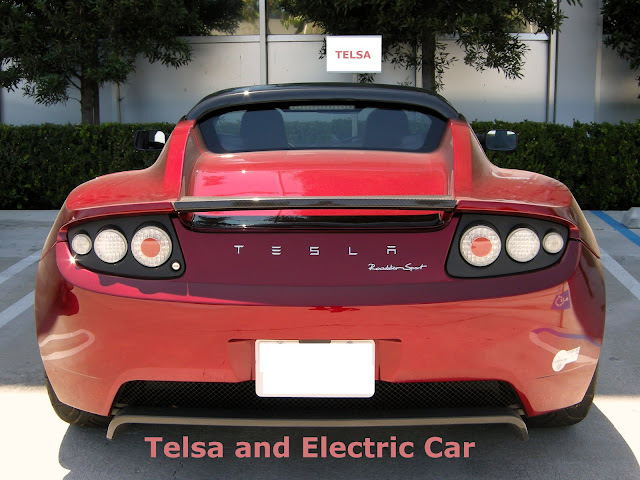 Tesla SWOT and PESTLE Analysis shows how rivals like Nissan, General Motors, BMW, Volkswagen and Volvo have developed electric cars at affordable prices making matters worse for Tesla. However, Tesla is looking forward towards a more successful fourth quarter before the financial year closes and is most excited about their Model Y whose production will begin in 2020. Closer, Tesla aims to expand Model 3 production in China in 2019. Being a relatively new company, Tesla has been assigned room for mistakes. However it would be in their best interest if they acknowledge and correct them soon.